As an Interior Design student studying abroad in London, I have to say this city could quite easily could be the most dangerous 'trap' for one who loves fashion, art and interiors! Around every corner is a new boutique, bookstore or cafe that I must explore and it is very unlikely I can escape without dropping a couple 'lbs'. 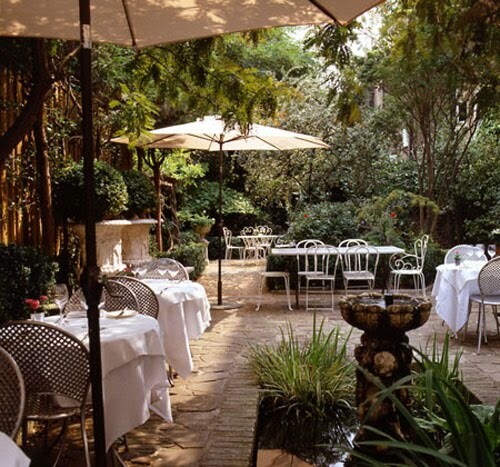 However, what really has caught my eye recently are the Firmdale Hotels throughout London. I have always been a big fan of Boutique Hotels, but Firmdale's hotels are right up my alley with their interiors filled with bright colours, tasteful florals and stripes, vintage decor and glamourous details. Truly the perfect place you would want to land after a long day of 'jet setting'. Firmdale has hotels through some of London's poshest neighborhoods including Soho, Covent Garden, Knightsbridge and several other wonderful locations. 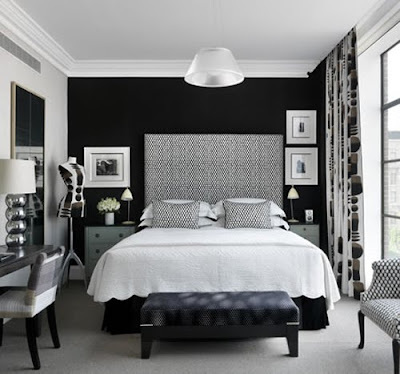 Lucky for everyone back in the US, Firmdale just launched their newest addition to the Boutique family, the Crosby Hotel in NYC, which alone is the perfect excuse to travel to the "Big Apple". Firmdale hotels have all the immenties one could want--restaurants, bars, tea room, movie theatres, spas, fitness centers and many of them have daring back yard gardens. 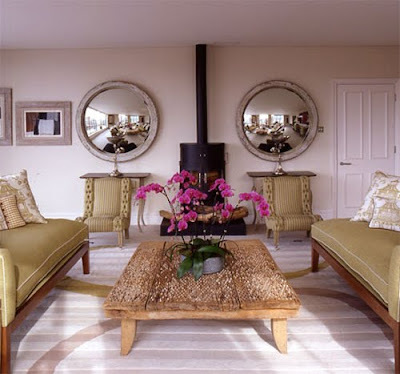 If I was a guest I don't think you could even get to me to leave this blissfully designed haven...even if they are in some of the world's grandest locations! 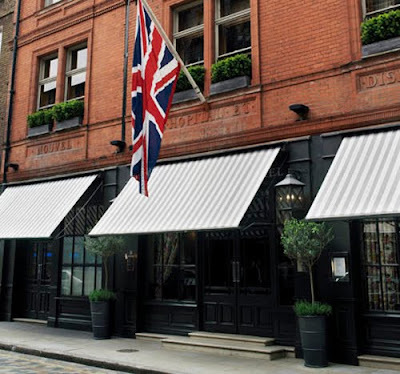 Covent Garden Hotel--Firmdale's Trademark is flying a flag on the outside facade. No. Sixteen's backyard garden--now that's a vacation spot alone! 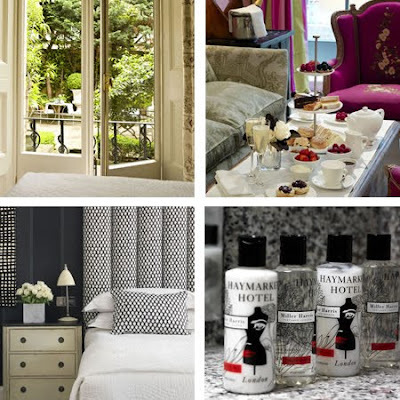 Some of the darling close-ups of Firmdale, even down to custom labels on the toiletries--true attention to detail ! 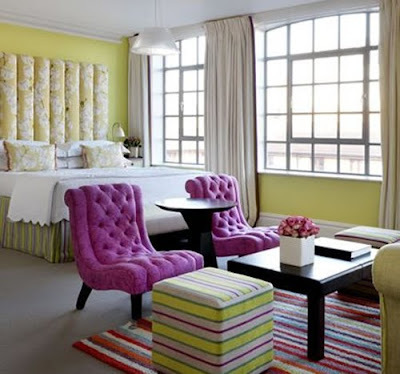 Terrace Suite fit for a true stylish jet setter in the heart of London...Soho. Black, white and oh so refreshing! One of the featured suites inside Crosby Street, NYC.